"Writing is a fearsome but grand vocation--potentially healing but likewise deadly. I wouldn't trade my life for the world." --Author Reynolds Price (from a 1991 Paris Review interview), who died yesterday at the age of 77. 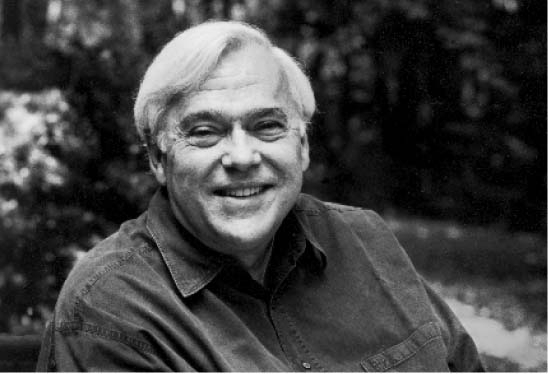 In his obituary, the New York Times observed that Price's "novels and stories about ordinary people in rural North Carolina struggling to find their place in the world established him as one of the most important voices in modern Southern fiction." On his blog, Classics Rock! Books Shelved in Songs, Larry Hughes paid tribute to Price and noted one of the late author's lesser known accomplishments--his work as a lyricist. Reynolds collaborated on two songs--"Copperline" and "New Hymn" with his friend and fellow North Carolinian James Taylor. In his book Understanding Reynolds Price, James A. Schiff wrote: "Price emerged as perhaps the first significant American novelist to compose a successful Top 40 popular song." Yesterday the ABA board continued a tradition going back to the administration of Herbert Hoover of presenting books to the president: most of the board and CEO Oren Teicher went to the White House in the morning and gave a selection of titles to President Obama. The group spent about 15 minutes in the Oval Office with the president, who asked for recommendations of titles for his daughters and gave the board members signed copies of The Audacity of Hope, according to ABA president Michael Tucker. Obama showed he isn't living in too much of a presidential bubble: when he handed out his book, he said, "I don't want to see these on eBay." Despite uncertainty and "the colossal rate of change taking place in the industry," when "virtually nothing we do in stores is what we did 20 or even five years ago," booksellers have some good news to celebrate, ABA CEO Oren Teicher said yesterday. "An array of independents" had a "pretty good holiday season," with sales higher than in either of the past two years, he said, and total units sold were "significantly better." Moreover, in the last week before Christmas, indies sold more books than in the same period in any of the past five years. "The business is coming back," he commented. "The market is coming back." In related news, in the last two years ABA membership numbers have been stable. "The long period of decline is over," Teicher said. This year's Winter Institute is more international than ever. Besides attendees from Norway, Sweden and Israel, there are representatives of the booksellers associations of the U.K., Canada, Australia and New Zealand, who are going to sessions as well as meeting formally with the ABA. HarperCollins rep Anne DeCourcey had a geographical bit of synchronicity occur in her life this week. On the road, she stayed Monday night in Arlington, Vt., drove Tuesday to her home in Arlington, Mass., then traveled Wednesday to the Winter Institute in Arlington, Va. "At least I didn't have to go to Arlington, Texas, too," she said. 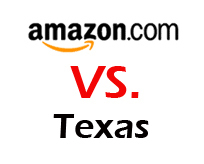 Last fall, Texas assessed Amazon $269 million in uncollected sales tax, interest and penalties for the four years running from December 2005 to December 2009 (Shelf Awareness, October 25, 2010). Last week, Amazon filed a lawsuit in Travis County District Court that argues "the documents must be made public under the Texas Public Information Act and seeks a court order forcing their release. The suit also seeks recovery of attorneys' fees and other legal costs," the Austin American-Statesman reported. Amazon's lawsuit contends it sent letters in September and October to the comptroller's office requesting "information related to the audit and the assessment" and an explanation of the basis for the assessment, but "auditors were not forthcoming with an explanation." The comptroller's office refused to provide that information, arguing that it was protected by attorney-client privilege because "the entire file relating to the audit was 'prepared by an attorney,' and thus... protected from disclosure," according to the lawsuit. On December 16, an opinion issued by the Texas attorney general's office agreed with the comptroller's office, the American-Statesman wrote. There's a whole lot of reading going on up north. Last week, Canadians bought and borrowed more than 2.7 million books, according to a count organized by the National Reading Campaign. The study was conducted to draw attention to reading on the eve of this week's Reading Summit in Montreal. The Globe & Mail reported that the survey, which covered about three-quarters of the book market and library systems serving 11.2 million Canadians, showed that "sales of 1,110,568 include books in both French and English sold by the Chapters-Indigo chain, Amazon.ca and 260 independent bookstores. Compiled from BookNet Canada, BookManager and la Société de gestion de la Banque de titres de langue française, they are estimated to represent 80% of English-language sales and 40% of French-language sales in Canada, but do not include digital downloads." The library circulation number of 1,604,378 was culled from 22 urban library systems. One very important conclusion drawn from the results: "Organizers figure more Canadians picked out a book last week than watched hockey on TV." The e-book post-holiday season sales surge continues. For the third straight week, more than a third of the top 50 books on USA Today's bestselling books list sold more e-book copies than print versions. 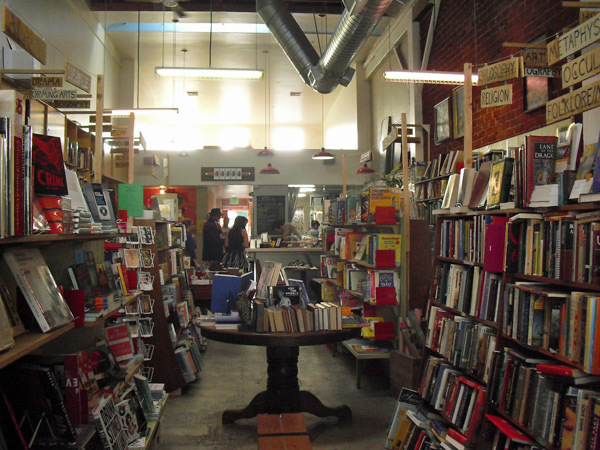 The L.A. Times Jacket Copy blog featured Stories Books and Cafe in Echo Park as its bookstore of the week, noting that co-owners Claudia Colodro and Liz Garo "opened the store in November 2008, when the economy was at its lowest. They'd been planning and getting the space ready for so long, they saw little to do but go forward." "It was probably the worst time to open a business," Colodro said, "but it's only been up from there." Jacket Copy noted that Stories "has a flavor that's particularly geared toward the tastes of the neighborhood: books about film, the arts, music, entertainment. It's the kind of place where you're equally likely to find a book on Caddyshack as one on Luis Bunuel--and where both are equally likely to be snapped up." Let the games begin: The Morning News unveiled the 16 contenders and the judges for its Seventh Annual Tournament of Books, presented by Field Notes and sponsored by Powell's Books. "Each of these books was chosen because it was hyped," the Morning News wrote. "Or celebrated. Or not celebrated or hyped enough. Or because it won an award. Or because an individual (or individuals) we admire lobbied passionately for its inclusion. The point is, throughout the year we asked writers, booksellers, TMN readers and random people on airplanes for their favorite titles, and all of that information contributed to the process. Eventually, in a series of combative round-robin e-mails, a list of 16 books emerged from a much bigger pool. And it is not a comprehensive list. It is not definitive. People with axes to grind will find plenty to sharpen their axes on. We admit there are many multiples of 16 books that easily could have made this list. "Every author who wrote an outstanding book in 2010 (and there were many) entered a lottery, and these 16 are the mostly arbitrary winners of that process. So it is with any award. We are happy to admit that truth. But we believe it is a very strong list." In the Guardian, Jon McGregor, author of Even the Dogs, chose "stories of lost lives that coalesce around a 'central absence.' " In other words, his picks for top 10 dead bodies in literature. "Literature that focuses on a person made absent by death is about as old as literature itself; some of the first stories told were, I imagine, laments for those lost and speculations about where they might have gone," McGregor observed. 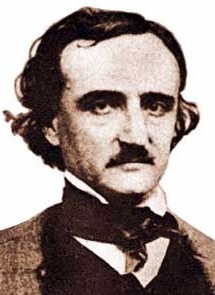 "But the books I've chosen here are mostly ones where the dead body, although central, is only a starting point for a study of that person's life and the life of the people he or she was close to; and the stories which surround the dead person's body are given greater shape by coalescing around that central absence." Boing Boing showcased Xavier Antin's installation piece Just in Time, which "uses four devices spanning 100 years of desktop printing to generate a rather lovely book; each printer's output is the input for the next one down the line." It's time to play the ABCs of Amazon game again. The Millions noted that "Amazon, like many sites, employs an 'auto-complete' feature on its search box.... It's probably safe to assume that it suggests the most frequently searched words, so, if we look at Amazon's book section we can type in letters and discover, for each letter of the alphabet, the most popular searches on Amazon. Last time we did this, about a year and half ago, vampires were the dominant theme. This time around, the vampires have mostly disappeared and things are perhaps a touch more literary." When last we checked, "battle hymn of the tiger mother" topped "bible" when you typed in the letter b. Book trailer of the day: Great Philosophers Who Failed at Love by Andrew Shaffer (Harper Perennial). Shaffer noted: "My budget was $0. I couldn't afford any actors, so I had to use cats." Today on the Talk: Christopher Anderson, author of William and Kate: A Royal Love Story (Gallery, $26, 9781451621457). He's also on Dateline on Sunday. Today on NPR's Marketplace: Patton Oswalt, author of Zombie Spaceship Wasteland (Scribner, $24, 9781439149089). 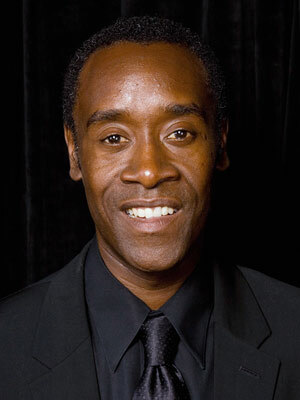 Dawn Olivieri (Heroes) will co-star with Don Cheadle in the Showtime comedy pilot House of Lies. Deadline.com reported that the dark comedy project is being written by Matthew Carnahan, based on Martin Kihn's book House of Lies: How Management Consultants Steal Your Watch and Then Tell You the Time. British production company Ruby Films (Jane Eyre) has optioned Your Voice in My Head: A Memoir by Emma Forrest. Deadline.com reported that the book, in which the author recounts attempting suicide before "being saved by a New York–based psychiatrist who was secretly dying of cancer. It's Good Will Hunting meets Girl, Interrupted and 'it will make a brilliant film,' Ruby Films boss Alison Owen tells me. But the elephant in the room is that Your Voice In My Head is also about Forrest's ex-lover, actor Colin Farrell." The novel is scheduled to be released in the U.S. by Other Press in early May. 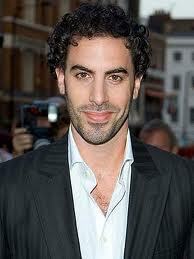 We're not sure what this means for the future of civilization, but Sacha Baron Cohen will star in a movie version of Saddam Hussein's novel Zabibah and the King, "the tender tale of a wise and good Iraqi leader who falls in love with a humble peasant girl. Re-titled The Dictator, the Paramount-backed production will be overseen by Larry Charles, who directed Baron Cohen on the feature-length Borat and Brüno outings," the Guardian reported. The novel was published anonymously in 2000, and it "is widely accepted within Iraq that the book was authored by Saddam, although the CIA later concluded that it was probably produced by ghost-writers, acting under direct instruction from the Iraqi leader," the Guardian wrote. Finalists for Digital Book World's inaugural Publishing Innovation Awards have been named. You can find the complete category shortlists here. Winners will be announced during the opening ceremonies for DBW 2011 next Monday in New York City. "The Publishing Innovation Awards will honor those making strides in this nascent medium," said David Nussbaum, CEO of F+W Media, parent company to Digital Book World. "As the mission of Digital Book World is to learn, share and celebrate innovation in our industry, the Publishing Innovation Awards are a natural extension to the community." Richard Meier received the inaugural Picador Poetry Prize, which recognizes the best new, previously uncollected poetry in the U.K. and features an award "that every new poet will envy--a debut collection to be published by Picador," the Guardian reported, noting that Meier will receive an advance for the collection, which will be edited by poet Don Paterson, editor of Picador's poetry imprint. Paterson observed that "while there was so much to admire in the work of everyone on the shortlist, in the end it was Richard Meier's quiet strangeness, the uncanny precision of his ear, and the tenderness and clarity of his address that made us want to read his poems again and again; and each time we returned to them we found there was more to discover, more to be moved by." You can read a sampling of Meier's work here. 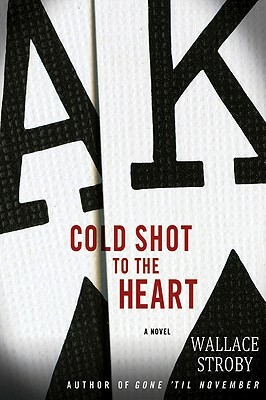 Wallace Stroby is the author of Cold Shot to the Heart (Minotaur Books, January 18, 2011) and three other novels: Gone 'til November (2010), The Heartbreak Lounge (2005) and The Barbed-Wire Kiss (2003), which was a finalist for the Barry Award for Best First Novel. A former journalist, he lives on the Jersey Shore. The Art of Worldly Wisdom by Baltasar Gracian, Innocent Monster by Reed Farrel Coleman, Do They Know I'm Running? by David Corbett. Silver Chief, Dog of the North by Jack O'Brien, and its sequels. The Tao of Physics by Fritjof Capra. It was recommended to me by Clive Barker. I was lost after 15 pages. The Glass Key by Dashiell Hammett. His best novel, better than The Maltese Falcon. Rendezvous in Black and the other Cornell Woolrich novels reprinted by Ballantine in the '80s. Loved the Hopperesque cover paintings by Larry Schwinger, and the neon type font. Loved the books, too. The Last Good Kiss by James Crumley. The traditional American detective novel meets the real world. "I wait like a denied lover for the blue glow of dawn." --from James Lee Burke's Heaven's Prisoners. Ray Hicks from Robert Stone's Dog Soldiers, Will Graham from Thomas Harris's Red Dragon, DCI Jane Tennison from Prime Suspect. This is a sort-of-autobiography, memoir, diary, journal, reminiscence, meditation, stream of consciousness poem that is 240 pages long. Not exactly blank verse, because it doesn't scan in iambic pentameter; it is exactly Maxine Hong Kingston: original, captivating, revelatory and important. She has written three novels and several works of nonfiction about the experiences of Chinese immigrants living in the United States and the difficulty of blending cultures. 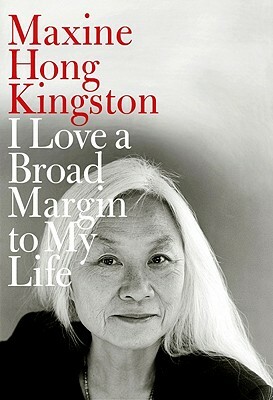 Kingston has received several awards for her contributions to Chinese American Literature, including the National Book Award in 1981 for her novel China Men. In this book, at 65, Kingston looks back over her life as a writer, political activist, friend, wife and mother. In rambling ruminations that go forward and fold back on each other, change direction repeatedly, move from ancient Chinese history to current events, she opens for the reader the "broad margin" that has been her life. and loquats and purple rain birches." This spot must be conducive to creativity because Kingston is off and running, exploring all the margins of her life, from edge to center and all around. my whole life as if it were a day." She fills the reader in on her avatar, Wittman Ah Sing, of Tripmaster Monkey fame, now a family man, leaving his wife to discover China; revisits The Woman Warrior; and writes at length about peace, justice, her arrest at a demonstration in front of George W. Bush's White House, her work with war veterans. Then, she goes to China for her 12th visit and seeks out the villages of her parents. She is mindful of all the changes that have taken place and also that one of her relatives still farms using a buffalo. "I've said what I have to say. Of the world, no more writer of it." Shelf Talker: In this tour de force, Kingston takes the reader through her life, the past lives of her ancestors, her books, her innermost thoughts and all that is important to her. "When you put a book into your cart on Amazon, there's no bookseller, no Mr. Amazon, to consult with about whether your selection is a good choice for you. At indie stores like ours, you can call or drop by to chat with a favorite bookseller whose recommendations you've come to value, then get online and order your pick as a Google eBook. It's a two-step process, of course, but one that preserves what we do best--matching books to readers. That's what we'll continue to do in whatever format works best for each customer." Anne Holman, co-owner of the King's English Bookshop, Salt Lake City, Utah, offered that response to a question--How do you handsell the concept that an indie bookstore is the best place to buy a recommended e-book?--I posed shortly after the introduction of the Google eBookstore last month. More recently, she expressed delight that "we are selling e-books. Our customers' main concern is that we are making money on selling them. Our response has been a resounding 'Yes, thank you!' We feel like this is a golden marketing opportunity for us in terms of no upfront costs and lots of talking points." 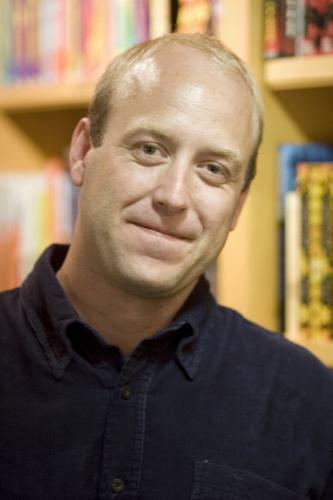 Matt Norcross, owner of McLean & Eakin Booksellers, Petoskey, Mich., says it has been "an interesting start to the New Year. We've had a steady flow of e-book purchases so far, which frankly surprised me. It's not 'bringing home the bacon' yet, but it is encouraging and the customers are coming back, sometimes twice in one night. Evening does seem to be the preferred shopping time; almost always after our bricks & mortar store has closed. It has made me a little obsessive about checking the orders every morning, but it's also fun." E-handselling both the books and the concept of buying e-indie is the challenge. Matt contends that recent developments are "changing the way we need to think about our websites as well. We need to think about improving the browsing of our sites; we need to create the 'I never know what I'll find next' kind of experience that people associate with our physical store on our websites. We also need the publishers to work with us. Currently, they seem surprisingly unprepared to help the indies promote digital sales. Mainly, I've had to discover what our e-book store has to offer the same way our customers do, through our search bar. Some of what I've found, including pricing errors, has even surprised publishers." Among his positive discoveries, Matt cites "great opportunities" for e-handselling like Chuck Klosterman's The Karl Marx of the Hardwood: An Essay. "I love Chuck K. and this particular essay and it's 99¢ on our website. What a great teaser to get new customers and introduce people to Chuck." E-handselling works. Based on Matt's recommendation, I purchased a copy of the essay through the bookstore's website. Another satisfied indie e-customer. 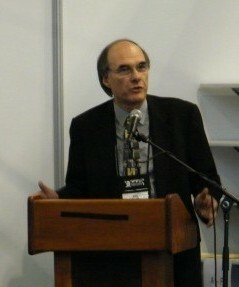 He also notes that McLean & Eakin is creating "smart shelf talkers," which use QR codes that "can direct the customer in the store to the e-book version on our website" to help stem the "leakage" caused by customers scanning UPC codes in an indie with their smartphones, and then purchasing elsewhere. 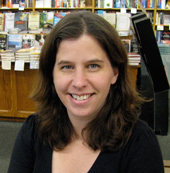 With up to five e-book orders per day, Bookshop Santa Cruz, Santa Cruz, Calif., has seen "quite a bit of interest from customers about the program," says Casey Coonerty Protti. To fan the e-flames, they've passed out instruction sheets and last week hosted an "e-book petting zoo," at which customers could try various devices, get support with technical questions and learn "about the ways that you can enjoy e-reading while supporting your independent bookstore in the process." 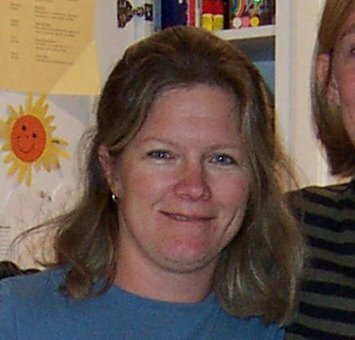 While using such tools as in-store signage, staff education and website promotion to e-handsell, Valerie Koehler of Blue Willow Bookshop, Houston, Tex., thinks "our conversation with each customer is going to be the best way. We need to figure out who owns the readers. Our customers have been reluctant to talk about them (I think out of a misguided loyalty to us)." The choice of e-reading devices is a primary concern for Susan Fox of Red Fox Books, Glens Falls, N.Y., who observes that "most of our customers who read e-books are using the Kindle. In fact, all the conversations we've had about e-books have been with Kindle owners. It seems that Kindle is now synonymous with e-readers to many people (kind of like Kleenex is to tissues). We certainly hope this will change with time, as we've lost entire book clubs to the Kindle this year, but Amazon has done such a brilliant marketing job that it's hard to counter that. Now that Staples, Target and Walmart are all selling the Kindle, too, it's even harder to convince people to buy something else. It's also strange to find ourselves in a position where we are sending people to Barnes & Noble to buy the Nook." Red Fox's owners now have an iPad "so that we can better understand e-books," and Susan notes that on March 10 they will host an event called Everything You Ever Wanted to Know About E-books and E-Readers. 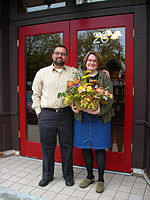 "We're hoping that this will be a good place to discuss e-readers and e-books with our customers. We are going to invite guest speakers to talk about their experiences, including someone from Barnes & Noble." E-handselling, like any handselling, is all about the conversation.